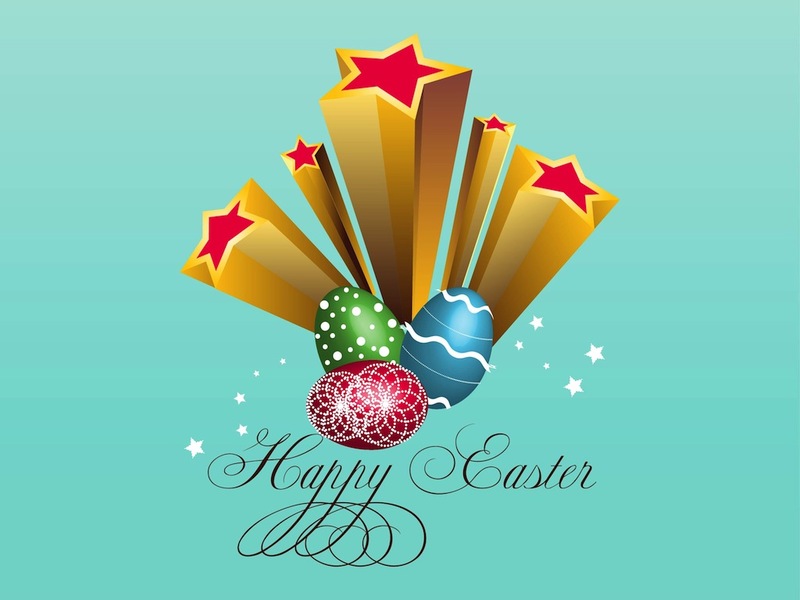 Holiday vector illustrations for Easter. Big stars with golden tails, decorated eggs with different colors and styles, small star symbols scattered around and text reading “Happy Easter” in swirling letters. Free vector footage for all your Easter greeting cards, posters, flyers and festive print materials projects. Tags: Celebration, Decorated, Decorations, Eggs, Holiday, Spring, Stars, Text.